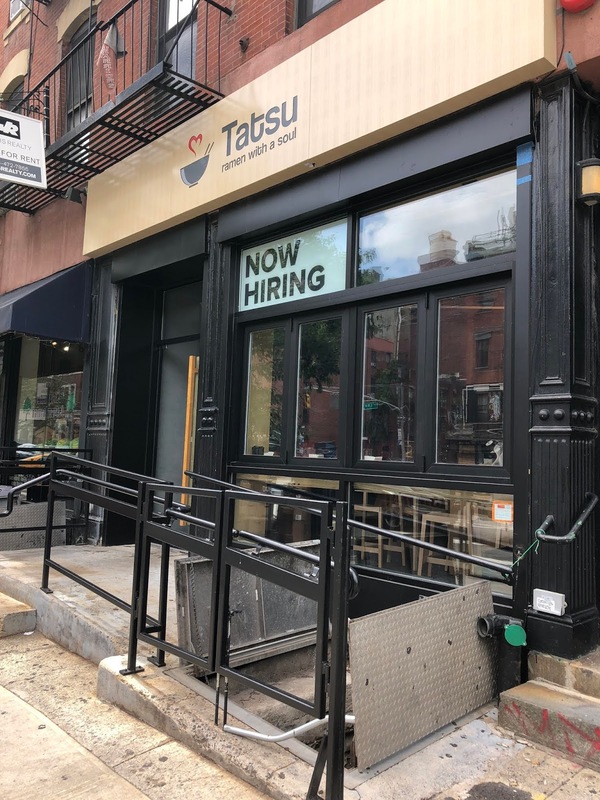 Tatsu Ramen, with two locations in Los Angeles, opened its first NYC outpost last evening at 167 First Ave. This sparked our (neon) lightbulb to bring Tokyo “home” to LA. We reimagined the typical Japanese ordering vending machine as iPads and flew multiple chefs from Japan to deconstruct the chemistry-laden recipes and have them painstakingly house-made from scratch with natural ingredients (and tough love!). “Tatsu” means dragon and opened its door in 2012, the year of the dragon. It has since become an LA institution that’s frequented by A-listers, hipsters and blacklisters. The last tenant in this space between 10th Street and 11th Street was Ashiya Sushi, who moved away in 2015.